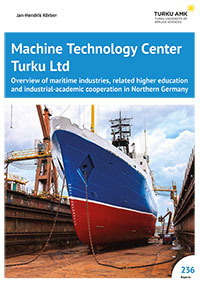 German companies play an important role in Southwestern Finland’s maritime industries which are one of the pillars of the regional industries and economies. To guarantee future-proof education programmes and training of engineers that meets the requirements of the regional industries, cooperation between universities and industries is needed. Many similarities in education related needs exist between Finland and Germany, and a closer cooperation is desired to maintain a globally competitive role in innovative maritime technologies.